How to create a sharing link on a task? 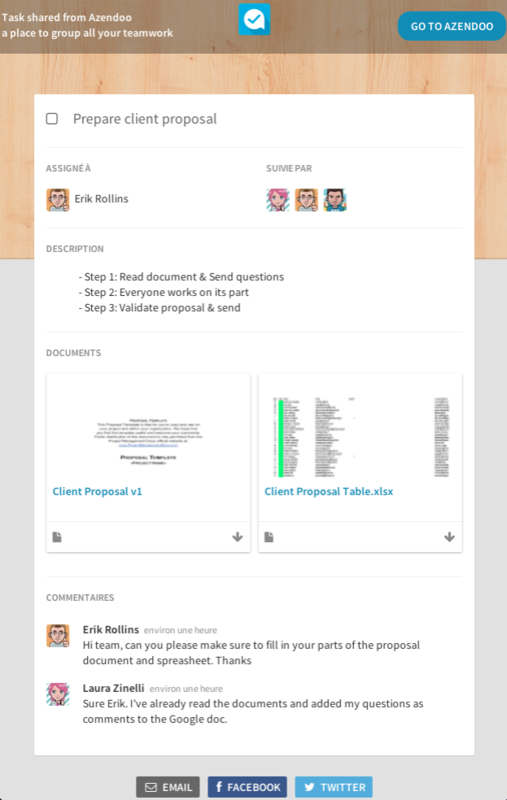 Tasks are a great way to get work done with teammate inside Azendoo. If you need to share a task with people that are outside your workspace or even not in Azendoo, to put the in the loop, you can use the Sharing link to this task. Anyone with this link will be able to open this public page and the attached files below. At anytime you can disable the sharing link if needed. Please note that the link will no more work and sharing the task again will generate another link.